Mercedes’ luxury sub-brand has revealed an all-new electric concept car – the Vision Ultimate Luxury. 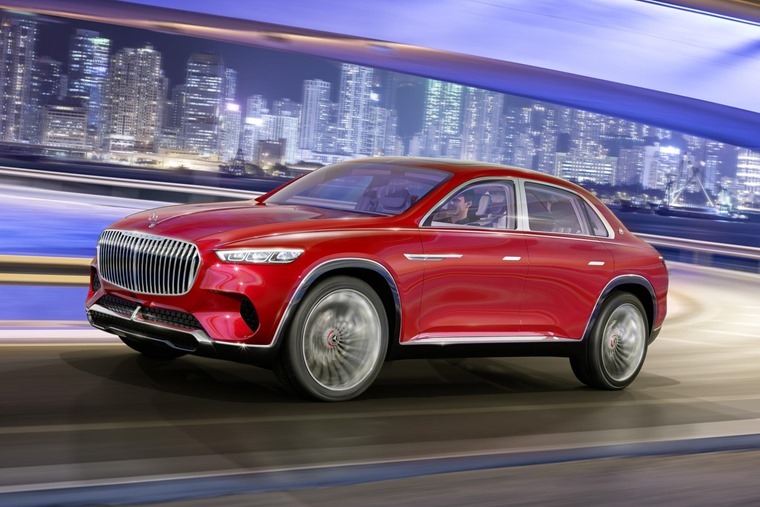 Mercedes says the car has been designed to assert Maybach’s position as the ultimate luxury brand, with its SUV set to rival the likes of the Bentley Bentayga when a production car eventually arrives. 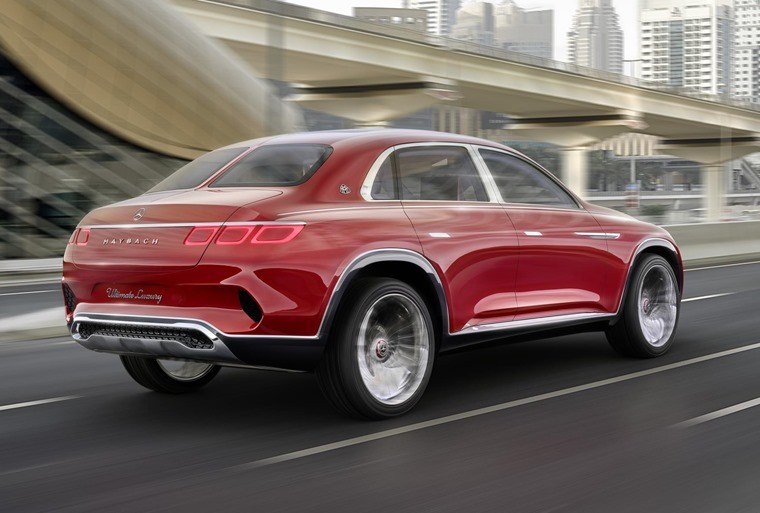 Externally, it has an unusual three-box design that appears to be inspired by the brand’s large luxury saloons, as well as the latest SUVs we’ve seen from Mercedes such as the GLE Coupe. A stunning front end borrows its looks from a previous Maybach 6 concept, with the same huge grille and thin, LED headlights. At the side, it has a saloon-like profile which benefits from flush pop-out door handles. Round the back, the saloon theme continues thanks to a full-size boot. Black cladding is present, with beefy side skirts and wheel arch trims adding to the car’s ruggedness. At over 5.2 metres in length, the Vision Ultimate Luxury sits on huge 24in alloy wheels – it certainly has as much road presence as the Bentayga. Inside, the stunning interior is set apart thanks to Magic Wood ebony trim and white Nappa leather. Up front there’s two 12.3in displays – one for the driver and one for the infotainment system. Touch-sensitive pads on the steering wheel and centre console control most functions, and the latter extends throughout the interior to the back where, of all things, you’ll find a tea set nestled between the sumptuous reclining rear seats. The car utilises an all-wheel drive electric drivetrain that produces a massive 740bhp. Top speed is limited to 155mph, and it has a range of 311 miles between charges. 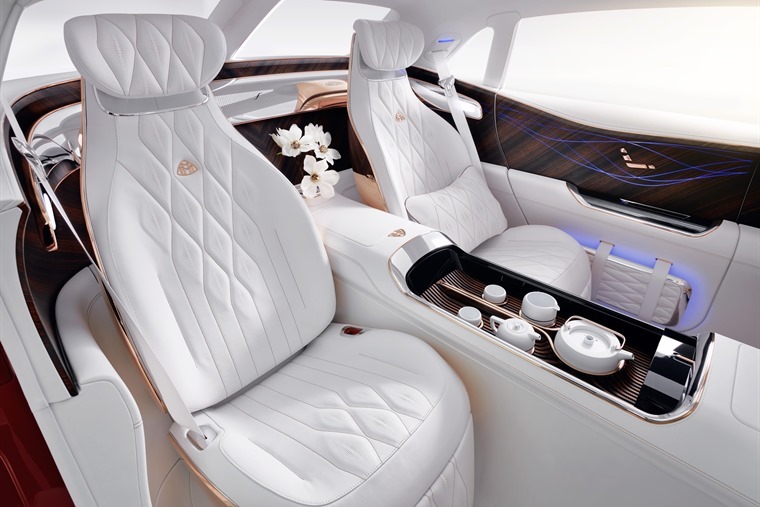 Although the Vision Ultimate Luxury won’t be making it into production, it’s certainly a big hint that we can expect a super-luxury SUV from Maybach to arrive soon. We’ll bring you further details as soon as we know more.